I’m not sure about you, but I get into a conundrum whenever I fly. I like to look presentable (ie. wear makeup) when flying, but at the same time being in an aircraft for a long-haul flight with your makeup on is one of the worst things you can do to your face. Skin just needs to BREATHE especially in dry conditions such as inside an aircraft. 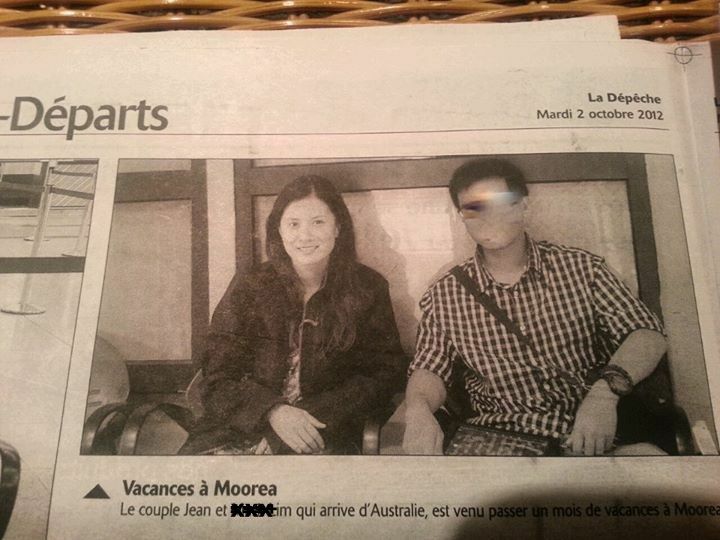 We’ve just arrived at Tahiti airport and were waiting for our connecting flight to Moorea, when all of a sudden a woman introduced herself to us as a journalist for a local paper and the next thing we know: SNAP! SNAP! CLICK! Moral lesson for everyone: Be prepared at airports. And Do NOT wear your husband’s jacket. From thereon, I made a mental note to myself to make an effort to look respectable. But soon, another conundrum surfaced. These were taken during actual travel and flight stages. Hands up if you can relate! Especially when I hit my 30’s, I noticed that re-touching makeup just doesn’t do the trick anymore. More often, they create more damage and I end up looking like Bozo the clown on overtime. I was determined to search for a solution. 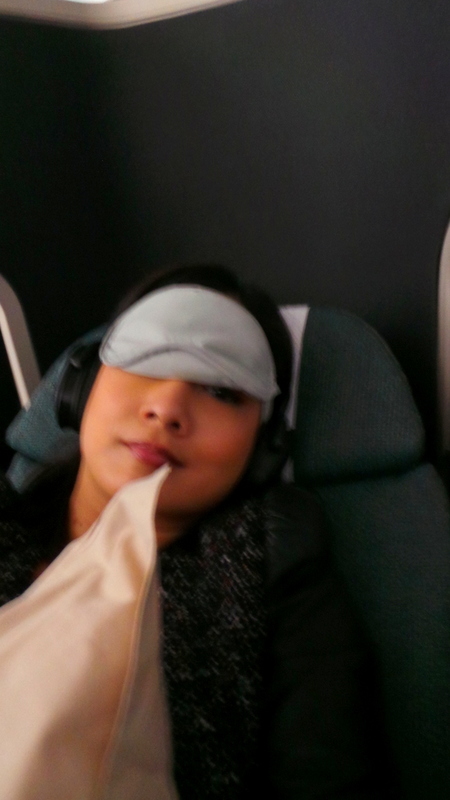 There has Got to be a way to still look the same before and after a long-haul flight! Long story short, I managed to combine both of their techniques and advice in formulating my own spin on creating any flight into a facial. Believe it or not, this is one of the most frequently asked questions / requests I get. 1.) Make sure you place all your paraphernalia in a clear bag. This will save you time from the hassles of airport security. Most importantly, all products (liquids, creams, etc) should be under 100ml. 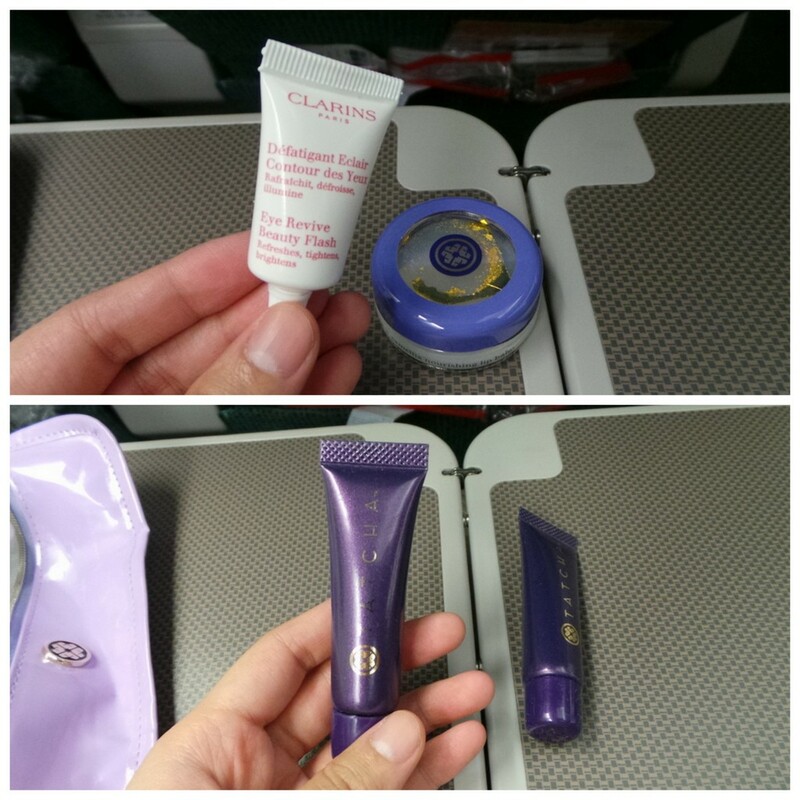 What I have is a travel kit from Tatcha Skincare, (came highly recommended by Caroline Hirons herself). 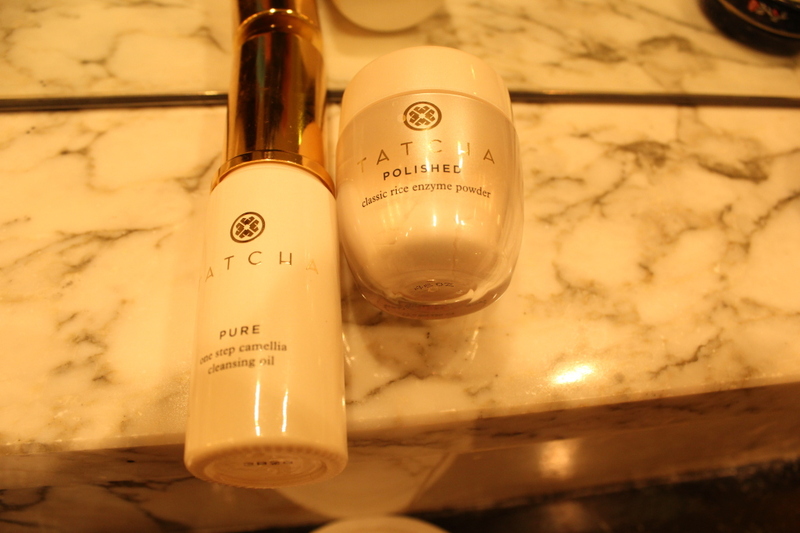 Tatcha is a luxury Japanese skincare line that incorporates Geisha skincare routine. Most days I’m more Gangsta than Geisha but if it’s good enough for the highly cultured dames, I’m in. 2.) The first step, REMOVE Makeup! I normally don’t use a makeup remover (I use coconut oil for that), but to avoid a sticky and slick situation, let’s go for a liquid makeup remover. You can use any that’s under 100ml. I use Ben Nye’s Hydra Cleanse. Hence I pack a gazillion cotton pads on the travel kit because I only stop when I don’t see anymore traces of makeup on the pads. I leave out my eye makeup though. In the ideal world, I would love to remove EVERY single bit of makeup , but you all know the battle of removing eye makeup without the proper cleanser (meaning with running water, etc). And this regimen is designed to be as quick and painfree as possible. Removing makeup with a liquid makeup remover can be drying to the skin. Especially after several tries. So immediately after the 1st step, spray a facial mist on your skin to soothe. This also helps create a better base for your skin , to make it more receptive to the next products. 4.) Put your mask on! Let me tell you a thing about facial masks on flights. Once upon a time when I was working as cabin crew for a Korean airline, I was tasked to do the ‘walk-around’ during one long-haul flight to Chicago. This “walk-around” in the middle of the flight meant literally walking up and down the aisle in the dark when all or most passengers are sleeping, with a tray full of beverages in plastic cups. This was normally a cruise-y task as most passengers would either be dead asleep with mouths open, or busy watching a movie. On this specific flight, I was breezing through the aisle amongst sleeping passengers when CASPER the Ghost shot out from 44B and held out a hand to ask for a drink. I nearly dropped my tray full of drinks. Holy S, it was a lady wearing an opaque facial mask sheet! But this is why most Koreans have amazing skin. They do make the effort, no matter what it takes. Now I’m not quite prepared to look like a bank robber in a plane, so for the purpose of this regimen, I’m opting for a CLEAR moisturising mask. I’ve decanted Clinique’s Moisture Surge Mask into a tiny sample sized jar of La Mer. Apply generously (and I always can almost hear my pores giving “ooohs” of delight whenever I do this). You will shine bright like a die-mund. 5.) Sit back, relax. Watch a Movie. Or just sleep. But the important thing here is to DRINK LOTS OF WATER throughout the flight. I always ask for extra water bottles (or cups). 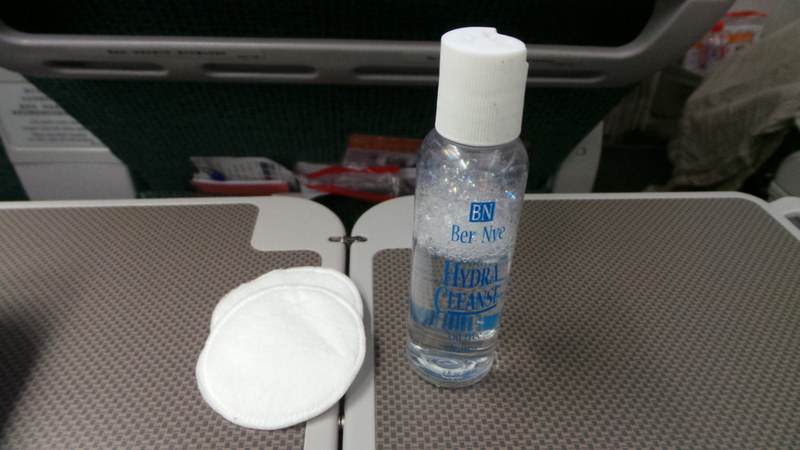 I find that mid-way through the flight, I need to reapply the moisture surge mask too. 6.) 2 hour before landing, rinse off the mask. This can be done 2 ways – you can go to the lavatory and rinse away like normal and risk flooding yourself. Or do it discreetly by soaking the cottonpads with water and just removing traces of the mask. By this stage the most of the mask would have seeped in the skin anyway so there’s not much to remove. Honestly, I feel reluctant to re-apply makeup after this because my skin really feels so plump and fresh after all that pampering! But should you wish to re-apply makeup, don’t go too heavy or full-on. Otherwise you may undo all that pampering for the last 10 or so hours. another reason why I don’t remove eye makeup – so that I only take with me 4 items of makeup. Just Tinted Moisturiser, a Cream based blush, concealer and eyebrow pencil. Someone mistook my face for a baby’s bum and plastered it with diaper. Now on to the skin-care routine. 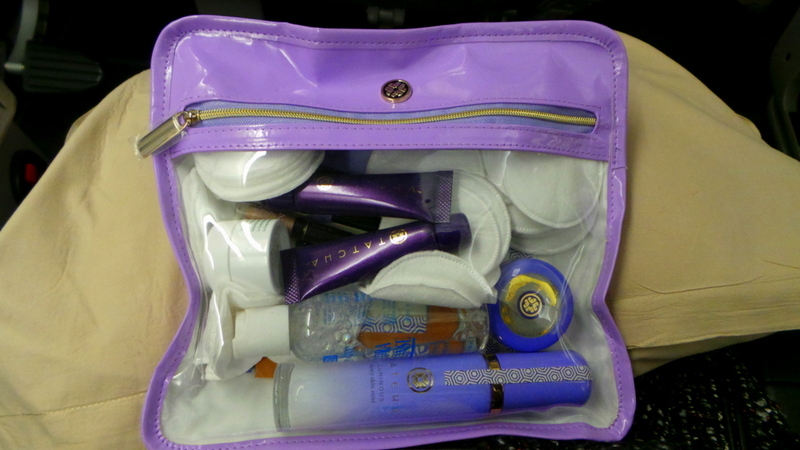 I notice that when I travel, my bag is always heavy not with clothes or shoes, but with skincare paraphernalia! The skin care routine below is for WINTER (as I was in Europe October-November). This is the most important part of any skin care. I only go for cleansing oils or balms. The Tatcha One-Step Cleanser is great because it’s in a compact container, and it also doubles as my eye-makeup remover (which normally is coconut oil). On a DRY face (yes, DRY) but clean hands, I pump about 3-5 drops of the cleansing oil and massage it to my face. I remove it with a hot towel (feel the satisfaction when you see the grime slip away!). An on days when I feel my skin is extra rough and needs some smoothing around the edges abit, I use the Tatcha Rice Enzyme Powder. This product sounds complicated but it’s actually a very basic and extremely gentle exfoliant. It’s really like powder, and I place a dash of it in my palm, mix of bit of water and massage on to my face. It’s an exfoliant that has no beads or harsh elements. My face feels extremely clean when I cleanse with this duo. On normal days, (good face days), I just clean with the oil. I’m very loyal to my eye cream as I really haven’t found anything better. I only use this at night. Ella Bache Creme Speciale Yeux. Sooo rich and comforting! 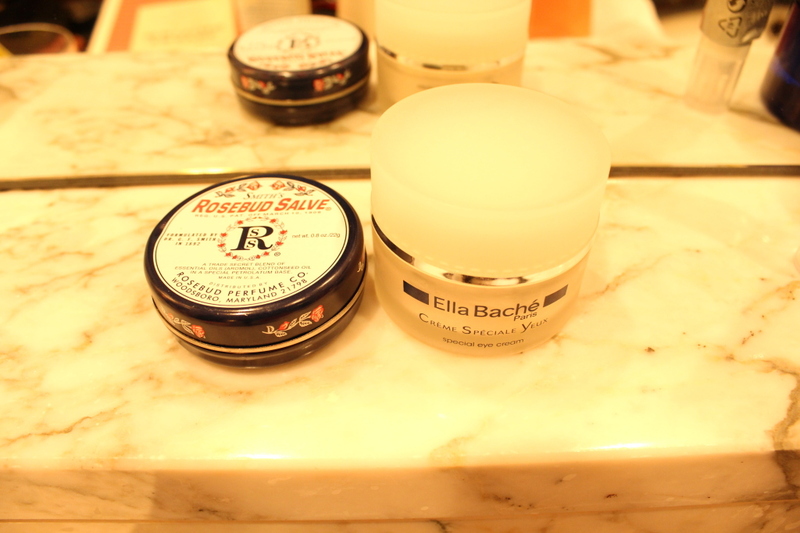 For lips, I normally go for the good old Australian PawPaw ointment but I ran out and grabbed this Rosebud Salve. I still prefer the PawPaw and I’m just finishing this tin. If my skin is looking extra dull, I would put a teeny amount of Redermic R by La Roche Posay (tops 2-3 times a week). 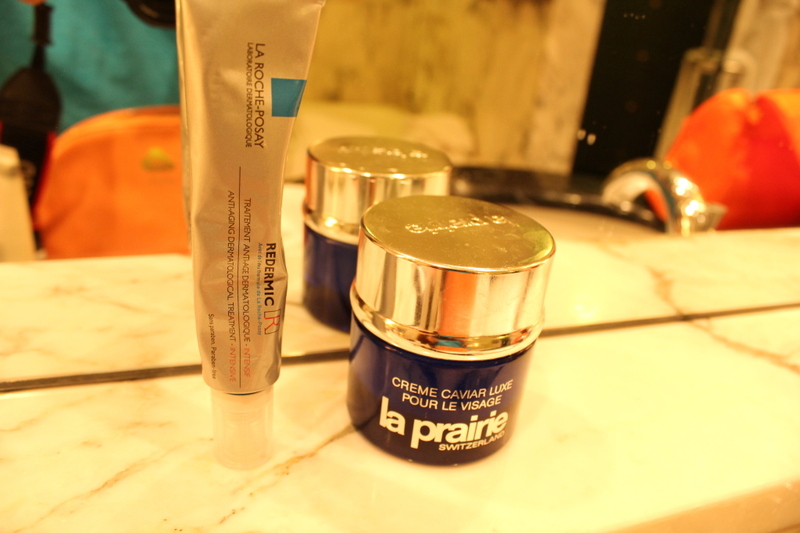 Nightly moisuriser is La Prairie Creme Caviar Luxe. This one’s okay. Not too miraculous in itself (but the combination with Redermic C is great). This is not my HG (holy grail) moisturiser but something that I use on colder climate where a heavier moisturiser is needed. 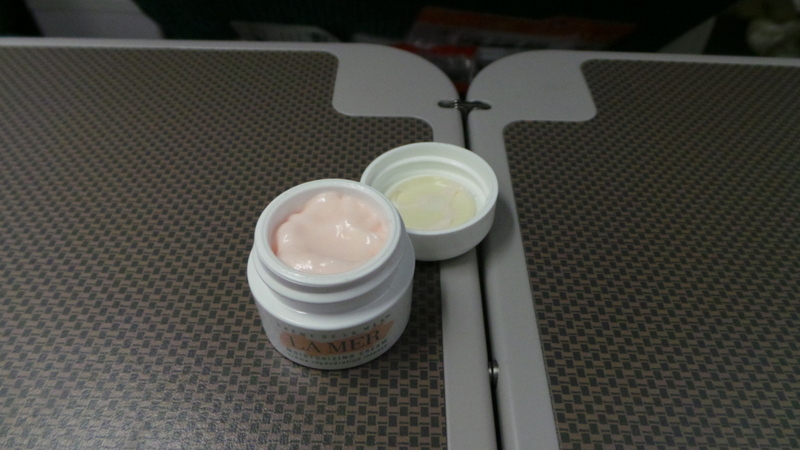 Now I’d love to know, do you have a skin-care regimen on flights? 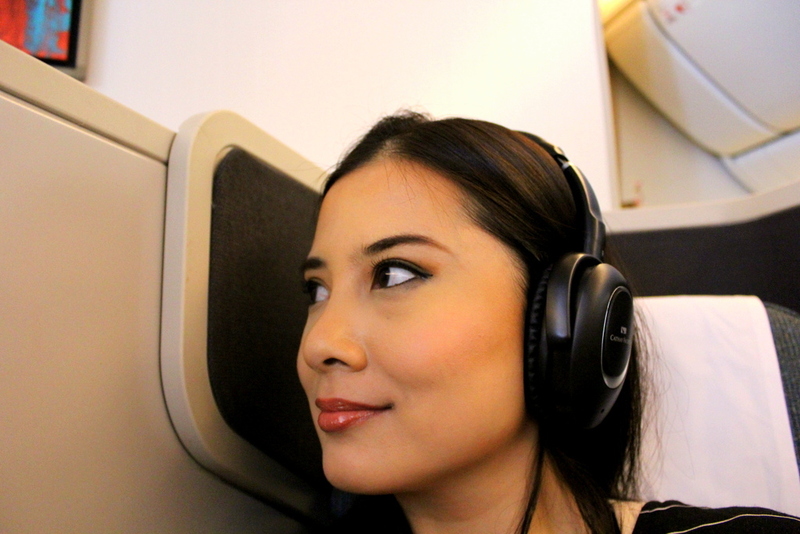 Do you or did you also suffer from the “Journey of a face” situation when travelling? I was sent the travel kit by Tatcha skincare but all opinions are my own. All other products were purchased by myself. This is great Jean! Love this blog entry! Miss you! Glad you liked it Jean ! 🙂 Miss you too! ohemgee! 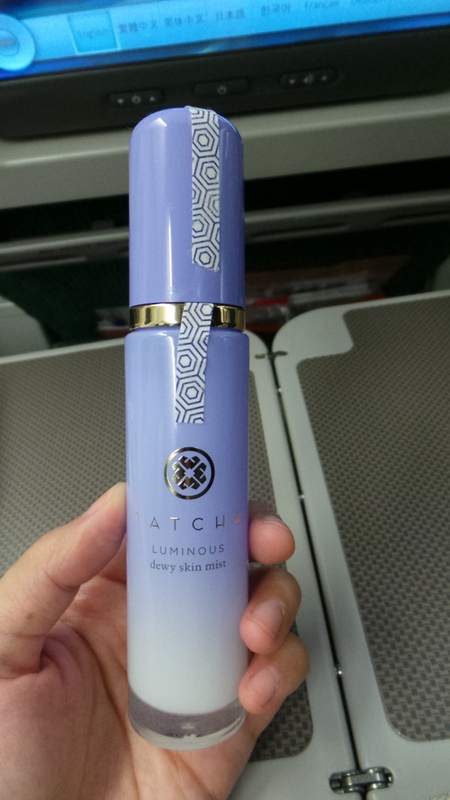 i just discovered Tatcha and im lovin it esp the mist , perfect for traveling esp long haul. you have pretty face with or without make up too. What a great post!! And way to keep yourself busy other than watching movies and sleeping!! Love this post and I think you are beautiful with or without makeup. With or without face spa! 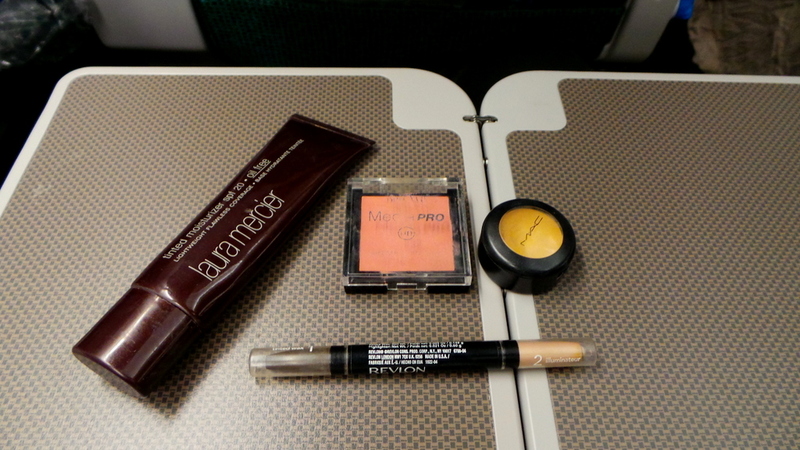 I use so much product but what your skin goes through is so much on flights, it needs it. I always try and have a facial once I’ve arrived too, even if I do it myself. You look beautiful from the start line to the finish. Good plan to put on a mask…. my best tip would be… go business and sleep… hahaha… true but can’t always be done, sadly. This is so awesome Jean .Informative blogs for women who travel a a lot. Keep posting Jean. and keep inspiring.